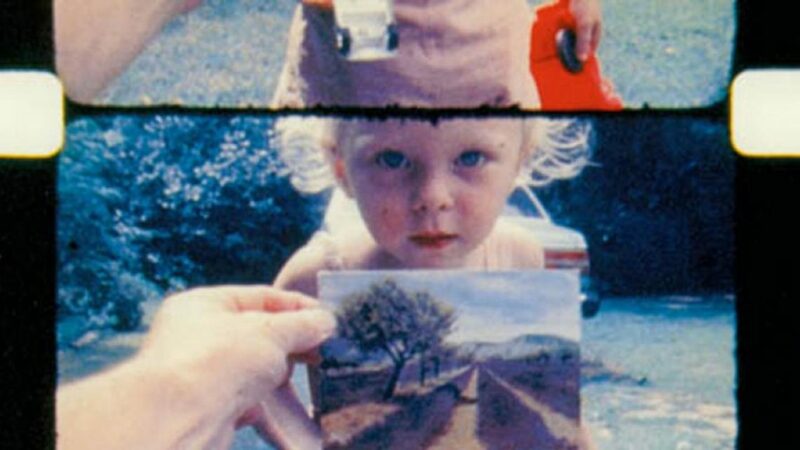 Jonas Mekas, As I Was Moving Ahead Occasionally I Saw Brief Glimpses of Beauty (still), 2000. Film, 288 minutes. © Jonas Mekas. I am a fan and strong believer in the quality, relevance, and importance of moving image art in all of its forms.1 My decision to write this essay comes from understanding that the way the current system produces, distributes, and monetizes this art form is flawed to the point of endangering its development. How is it that 10 to 20 percent of major biennials and other art surveys are video works, while at a large global art fair, these works count no more than one percent?2 There is always an awkward relationship between art and money. When one speaks about art, one is supposed to ignore money, as if talking about money reduces art to a product. Some call this awkwardness hypocrisy, but in practice, art cannot exist without a little bit of money . . . even if good art is never created for money alone. So let us not be naive or ideological. 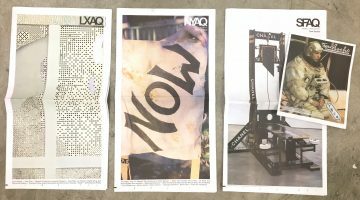 For video art, money has even more urgency, as its production often incurs more up-front costs and the audience is much smaller than for a painting or sculpture. My concern here is not about making “video investments” safer. I am not investing in art—I am using my children’s money to indulge in my personal passion. Therefore, the minimum safeguard I should take is that my family has a chance of recovering some of the money that I have spent if they decide to sell the works when I am gone. The following text will show that current practices in the video art market result in collectors buying video copies with little or no “intrinsic” value. But, to discuss how we can systematically bring more money to video art and develop technological platforms that support it, one must understand the particularity of the ownership of video art, and this requires a dry legal refresher. Hold on tight! Before discussing the legal framework and possible routes to a solution of assigning and maintaining the value of video art, let me share some of the hard lessons I have learned collecting video art since 1999. The first video work I ever acquired was a VHS tape in an edition of 40, compiling the first six works of William Kentridge, which includes his signature on the cassette. It originally sold for around $1,000, and I acquired it for $10,000, which was, at that point in 1999, the world record for the sale of a video artwork at auction. For many years, a professional postproduction house made VHS viewing copies with the fragile original tape cassette stored in a safe. When my last VHS player broke, I requested from one of the artist’s galleries a copy of the tape in a then-current format. Their answer stunned me: “Excuse us, but this tape is like a book, and one day it will disappear like a book does.” A few months later I met the artist in Miami and explained the situation to him. He very kindly offered to provide me with a DVD containing the same films. But where does this leave the collector if he sells the work? Does he sell the VHS with the DVD? And what is the status of the DVD? After many more acquisitions, a museum in Belgium asked to borrow one of the video works in my collection. I accepted, of course. But before the opening of the exhibition, a representative of the artist announced that the museum would have to pay a fee for exhibiting it. I thought I “owned” the video work and could decide where and when to display it. My surprise only increased when I understood the crux of the matter was that I had acquired the artwork for viewing in my “private family circle” and that even exhibiting it during a party at my home would legally infringe on the exhibition rights. A collector friend of mine acquired some Fischli/Weiss photographs and then discovered the Der Lauf der Dinge (The Way Things Go, 1987) video, which she acquired as well, in the form of a signed and numbered tape cassette. To her great surprise a few years later, she heard of the release of an unlimited edition of the same work by T&C Film in Zurich, selling for 45 Swiss francs.3 Similarly, after viewing Jonas Mekas’s masterpiece As I Was Moving Ahead Occasionally I Saw Brief Glimpses of Beauty (2000) at the excellent Museo Universitario Arte Contempor.neo in Mexico City, and convinced of its quality and importance, I contacted the gallerist identified on the wall label. The quoted price was $30,000 per edition, in an edition of 10. I was amazed that this 288-minute masterpiece of a lifetime could be acquired for an approximate payment of $150,000 to the artist (taking into account the gallery margin). While researching the artist’s work, I found out through his website that he had published a six-DVD set of films that included As I Was Moving Ahead Occasionally I Saw Brief Glimpses of Beauty in full, at a price of €80. As you can imagine, I was astonished. I wrote back to the gallerist asking if there was a contract with the rights and responsibilities linked to this limited edition. Since that day in May of 2013, I have never received an answer. 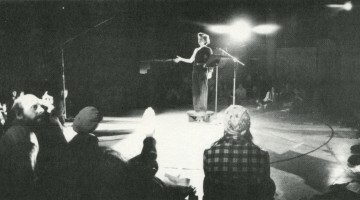 Jonas Mekas, As I Was Moving Ahead Occasionally I Saw Brief Glimpses of Beauty (excerpt), 2000. Film, 288 minutes. © Jonas Mekas. A major collector was viewing the work of Regina Jos. Galindo. I recommended that she focus on the artist’s videos, which are the core part of her excellent art practice. My friend vehemently answered that she would never again buy video art since the day that one of her children accidently damaged the signed copy of a video work she had acquired. She eventually bought a Galindo film still. In the same vein, a friend approached me after losing his copy of a video that we both owned. He couldn’t locate the artist, and the gallery he bought the work from had closed. He then asked me to provide him with a copy of the work. Finally, during a studio visit with a renowned Mexican artist, I watched an amazing video work that was the perfect condensation of her practice. I asked her about the price and the editioning. She informed me that the price was $100,000 in an edition of five. You can imagine my surprise as there are so few artists able to sell video work in this price range. When I inquired about the reason for the “high” price, she explained that the cost of the production was very high and that even if the entire edition were sold, (taking into account the gallery commission) she wouldn’t cover her costs. When I mentioned to her that she could have reduced the “retail” price by increasing the size of the edition, she told me that her gallerist decided the size of the edition. She added that she found the practice of an artist having to bear the full weight of the creation of the work, as well as its production and the risks attached to that production until there was a finished product for a gallerist to sell on a best-effort basis and a 100 percent commission, far from ideal. She recommended that collectors get involved at the production level of a video work to improve the whole process of creating, distributing, and monetizing video art. Of course, this all seems very naive to the “specialist” I have become since those early learning experiences. But I am ready to bet that no more than 10 percent of collectors acquiring video art are aware of the limitations and implications of the scenarios described above. And worse, as only a small minority of all the stakeholders are aware of the facts, no one is really committed to finding permanent solutions. Consequently, there is an entirely dysfunctional video art market that keeps the art form gasping for the air necessary to its development. The results of this dysfunction are a ridiculously limited market for video art on the primary and the secondary sides, and a “median” price for video art under $5,000, a level where it does not matter much to the acquirer what he or she owns.4 Acquiring video art becomes a laudable activity . . . but not if it is dressed up as a transfer of ownership, and if it sometimes involves much larger sums. At this point let us spend some time explaining the legal conditions surrounding a work of art, and in particular video art. I am neither a lawyer nor a specialist in intellectual property. So please excuse some generalizations and simplifications (particularly geographically, as laws are different from country to country for the sake of this text’s didactic purpose). 2. Reproduction rights. These are the sole rights to reproduce the work, or any substantial part thereof, in any material form, including digital and electronic reproductions.7 Furthermore, we are today at a turning point with the necessary (and problematic) extension of those reproduction rights to the digital universe. 3. Public communication rights. These are the sole rights to communicate about the work or any substantial part thereof to the public, notably through telecommunication. Practically, it means that merely communicating about an artist or his or her work that you will show somewhere legally requires the artist’s permission, even if it seems accepted that a collector can mention an artist as being part of his or her collection. 4. Resale rights, or droit de suite, depending on the jurisdiction. At this point, I may have lost the attention of many readers: they probably have been convinced by past practices that it will not apply to the painting they acquired, as it is in the artist’s interest to exhibit it as broadly as possible, including catalog reproduction and telecommunication. But the past is not a guarantee for the future. Moreover, there are organizations and lawyer partnerships now being set up to claim fees linked to those rights on behalf of the artists/creators; this is only the beginning of a process that is massively extended due to the expanded audience in the digital universe. It reminds me of a recent conversation with the author of a beautiful coffee-table book about private collectors and their living spaces who complained that he had wanted to show more contemporary art collections in the volume, but the reproduction fees would have made the project economically unviable. Even for a painting, it can be useful to request at the time of the acquisition a certificate that outlines agreed rights and exemptions pertaining to the exhibition of the work in real life, in publications, or online, and other rights described above. A reproducible work of art such as photography, music, or video art is another story. The rights described above plus related rights specific to reproducible works are the essence of a work that has no legal physical existence (except in the original negatives or the original film stock). When I started buying video art, I imagined—like many collectors I’ve spoken to—that I owned a “share” of the work, when actually only the artist owns all the rights.11 All we as collectors own is a very expensive “home video”! 1. Exhibit the work outside a closed family circle and potentially leverage a fee for this exhibition. (This is why museums rarely request loans of video artworks from a collector). 2. Allow film stills or extracts from the video to be produced and published. When you understand the consequences of the fact that a video artwork is a package of rights and not a physical object, you will, like me, be annoyed when the gallerist announces to you that the artist is creating a special “jewelry box” for your USB drive and DVD. It shows how far the market is from understanding what it is selling when it tries to sell video art. Media art is at odds with an art market built on a paradigm of objects—not intellectual property. The most obvious solution to video-art-as-rights is the development of contracts between the artist, their representatives, and serious collectors and institutions. Contracts drafted by galleries too often look more like a certificate of authenticity than a legally binding agreement to transfer rights between parties within agreed territories and jurisdictions of law. However, the use of different contracts is not the solution for the establishment of a truly functioning market and financing system for video art. A cacophony of contracts makes every edition different from the next one (you will not buy your edition with the same rights as your neighbor) and often does not solve the question of the transfer of those rights attached to the contract to a new acquirer. All video art stakeholders (representatives of artists, collectors, libraries, institutions, producers, agents) should urgently sit around the table with non-litigious lawyers to agree on a balanced, multi-option international contract model for limited edition video art.14 Until then, many passionate video art fans, myself included, are disinclined to acquire what in many ways is no more than allegorical wind on DVD. But how did we get to the current limited editioning? If we admit the reality that video art is by my description, “a package of intellectual property rights which is protected via copyright law in multiple territories and jurisdictions,” then we realize it is closer to engaging with the movie industry than to buying a painting. This “virtuality” of video art is the embarrassment of the fine art market, which equates collectibility with scarcity. Whatever scarcity the art market feels it needs to create artificially to make video collectible, it is, for better or worse, legally a movie and what the fine art market pretends to sell as ownership is nothing more than a right of usage. And it is indeed the same movie model that the video art market started with in the 1970s, when nonprofits such as Electronic Art Intermix, founded in 1971, offered artists technical assistance in the creation of video art and from 1973 onward, distributed artists’ videos through the Artists’ Videotape Distribution Service (now known as the Artists’ Media Distribution Service). There are other “distributing libraries” like EAI around the world: LUX in London, Light Cone in Paris, ARGOS in Brussels, Filmform in Sweden, sixpackfilm in Austria, Video Data Bank in Chicago, AV-arkki in Finland, Hamaca in Spain, Associa..o Cultural Videobrasil in S.o Paulo, Bureau des Videos in Paris, and so on. 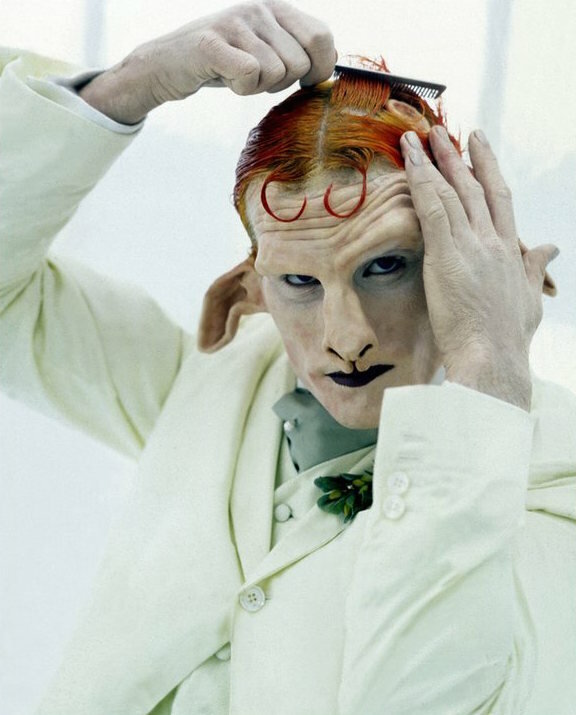 Matthew Barney as the Satyr in Cremaster 4 (42 minutes, 1994). © Matthew Barney. Courtesy of the Internet. Initially, video art specialists never thought that this editioning system would stick around.18 Given the fine art market’s preference for exclusivity (even if it is an impression and not a reality) and the general lack of understanding of the legal value of video artworks sold without rights packages or rights transfer, it has lasted to this day. Of course, editioned video copied the model of editioned photography. Indeed, the photography market originally printed an unlimited edition (as it makes sense to) until the fine art market made photography its own and limited the editions. I remember in the 1990s when galleries were inferring that the original negative would be destroyed when the whole edition had been printed to make us believe we had exclusivity despite the editioning. But the understanding of the rights attached to reproducible works of art, as the William Eggleston example and others have taught us, is that the exclusivity of photography is much more limited than expected. It is nevertheless important to understand the notable difference between photography and video art: photography implies a printing, which is often supervised by the artist, with potentially significant differences from print to print. A video can be copied exactly. There are really no differences between one digital copy and another in the same format. Furthermore at this juncture, video art can be distributed and exhibited digitally in the furthest corners of the planet and in multiple houses and spaces at the same time, rather than being tied to one copy and one place, as a fine art photographic print is. It is clear that video art editioning served and can still serve a purpose, along with other financing sources, for video art’s production. I am assimilating current editioning models to postproduction financing, as it is nothing more than financing the video after its release, contrary to movie production, where financing always occurs before the release.19 But without any rights transfer, buying an edition is nothing more than philanthropy with an appreciation souvenir when the actual video work constitutes a whole package of rights. We have definitely reached the limit of the current editioning model, with very limited interest from collectors developing video collections when they truly understand what it is that they are in fact acquiring, coupled with the also very limited interest of galleries in promoting works of so little commercial appeal to their collectors, and the quasi-total absence of a secondary market. As a consequence of all of the above, there is a shortfall of sufficient funding for video art production, and it is impossible for artists and video art producers to make a decent living from this essential medium. I repeat: it is now urgent for the industry to sit around a table and establish some standards with variable options. A better infrastructure would allow professional production companies to develop and collectors to become involved at the production level (where rights ownership and licensing are established), an endeavor that is particularly relevant now, with technology allowing an expansion of the potential audience for video art. And what about the original distribution model of renting? For a large part of the recording industry, the move to embrace streaming actually solves a long-time paradox: one of ownership. Over digital music’s 30-year evolution, from the public introduction of the compact disc in 1981 to the international expansion of Spotify in the last half-decade, the question of whether listeners owned the music they purchased got murkier. In an earlier era, there was no such question—buying a vinyl record meant you could listen to the music until you wore it out, filed it away forever, or grew a new set of ears and snapped the old disc in half. Call the CD—and the digital files it so precariously contained, the sources of the fundamental rift between listeners and labels—the digital infection. Once you could strip a song from its physical home and make a copy (or many copies), that control seemed to imply ownership. The recording industry’s fight against that principle took on the form of invasive digital rights management software, advertising campaigns, threats, and lawsuits. You weren’t buying the music itself when you purchased an album or a song, it said, just the right to listen to it. But the MP3, the digital format gone airborne, turned this germ into a pandemic. The industry could argue all it wanted that listeners didn’t have the right to make copies and share them with strangers, but every new piece of technology made the counterargument. It is time, in the era of Netflix and Apple TV, that a shrewd entrepreneur builds a solid open platform for the existing libraries and distributor catalogs and collections from which they can operate their “renting” platform while protecting the video art, which in the current system is mailed via the post or transmitted through unprotected file transfers. But who will ensure that the original master triacetate or polyester film, the analog or digital videotape or digital file, will be preserved for future use and possible duplication? There was a time when I, a non-professional, thought that the preservation of digital data was straightforward: just transfer the file to a USB or a hard disk and it stays available forever, right? Here is a brief excerpt giving a glance into the complexity of preserving digitized material. Just one statistic for you: 50 seconds of video and audio will take up approximately 1 gigabyte of storage if preserved in the safest, uncompressed format.23 This is a lot of gigabytes for a full film. In other words, 50 seconds of standard-definition video will be smaller than 50 seconds of 1080p video, and this in turn will be smaller than 50 seconds of a 4K DPX scan of a 16mm film. A digital video file is made up of multiple components. Most important are the file wrapper, the encoded video track, and, if there is sound, the encoded audio track(s). The file wrapper, or container, is what we commonly think of as the file format. It is represented on your computer or storage system with an extension such as .mov (QuickTime), .avi (AVI), .mpg (MPEG), or .wmv (Windows Media). The file wrapper is only one part of the video file, albeit an important one. Its role is to bind the video and audio essence together so they can be played back accurately. The file wrapper may also contain important metadata and additional tracks, such as closed captioning or subtitles. The video and audio tracks contained within the file wrapper are created by different encoding formats, or codecs (short for coder/decoder). The codec used to create the video track must also be used to decode it upon playback.24 To play video files, software must have the right codecs within its library in order to play the video files back. Codecs can thus be thought of as yet another file format within your file. Common codecs today include H.264, DV (digital video), Apple ProRes, MPEG-2, and MPEG-4. The encoding format also dictates the type of compression that will be used on the file (unless the video is uncompressed during digitization). Many artists are becoming aware of the potential problems with obsolescence, particularly when their works are collected by major private or public collections, and are collaborating with institutions and nonprofits for the long-term preservation of their work: the Tate in England, the Museum of Modern Art and EAI in New York, the George Eastman Museum in Rochester, New York, ARGOS in Brussels, the Foundation for the Conservation of Modern Art (SBMK) in the Nertherlands, AktiveArchive in Switzerland, the New Art Trust (NAT) in San Francisco, and the collaboration of some of the aforementioned in the collaborative Matters in Media Art project, to name just a few.25 But these initiatives do not offer collectors solutions for accessing copies of the video art they have acquired when the gallery or the artist are not around, or not on speaking terms. A solution must be possible and is necessary, like the contract, if one wants to give the video art market an infrastructure allowing it a proper development arc. A multi-option model/template contract agreed upon by representatives of all video art stakeholders to define the rights and the transfer of those rights in the acquisition of a video artwork. An open digital platform where a proper ecosystem will develop for the displaying, distributing, monetizing, buying, and selling of video art. The platform must be open and stable enough to allow multiple services and value for all stakeholders while protecting the creator/producer’s copyright and other underlying rights (through robust encryption) as well as monitoring the respect of the technical constraints imposed by them, such as minimum resolution, display formats, screen size, etc. In order to attract all stakeholders in the ecosystem, the platform should meet all their urgent needs: easy and accurate display of public or private collections both past and present (how can we collectors, private and institutional, still be limiting ourselves to moving “around the house” USBs and DVDs? ), easy and protected third-party viewing for commercial galleries and artists online, and protected and monitored renting for the libraries. If enough video art and viewers are part of the ecosystem, it will be viable to develop curated channels similar to playlists on Spotify. Channels would be available for free for promotion, or by paid subscription, or by direct purchases. If those channels were accompanied by tutorials and general education about the medium, they would be a powerful tool for the deserved and necessary expansion of the art form to new audiences, and for a deeper understanding on the part of its existing audience. There is no doubt that having video art online is the attractive and efficient way forward. It will be a fantastic opportunity for an art form that thus far appeals mostly to connoisseurs and a limited public. The Internet is good at rallying a small group of separate but passionate individuals. A series of robust and credible libraries would ensure that from release onward, the preservation of video art in return for payment is included in the acquisition or renting price of works. Ideally those “preserving libraries” will function in smooth operational continuity with the ecosystem/platform described above. There will come the day when the different levels of “ownership” of video art will happen through electronic, contractual certification, which will give access digitally to the acquired or rented works directly from the “preserving libraries” and the ecosystem/platform. The development of a paying audience, as well as the legal and technological infrastructure to sustain and develop video art, will allow the development of video art production companies as a true business proposition, which in turn means easier access to financing and expert production support for artists. We are all tempted not to move at all, because for many, moving forward seems a jump into the unknown, and many collectors and other stakeholders would prefer to hold on to what they have, however imperfect it is. Of course, there are major private and public collections that are taking care of the display and preservation of important video works. But this is only a small portion of video art creation, and even the most enlightened museums have shown again and again in the context of other media that they can miss important parts of what the future will define as art history, and that it is private collectors’ efforts that preserve that often-overlooked history. Video art is starving without proper funding and an audience outside the major biennials and museums. It needs a robust legal, financing, production, and technology infrastructure for it to assert the place in art history that it deserves. I hope that I convinced you that the status quo is not a sustainable option at this point. When you cannot go back or stay put, the choice is easy: you can only go forward. With the contributions of Ismay Mar.ais, Paris; Olaf Stüber, Berlin; Portland Green, London; Maria Larsson, Zurich; Egbert Dommering, Amsterdam; and many others who prefer to stay anonymous. Please note that a contribution does not imply full agreement on all conclusions. 1) For the purpose of this article/essay, video works embedded in an installation format or that have strict and complex physical display constraints have been excluded from the discussion. Also, I am adopting the point of view of an average private collector, who can have very different circumstances from a museum or top video collector. 2) This is from my personal experience as an art globetrotter . . . more precise assessment is welcome. 3) The very latest development is that Artspace just announced a new limited edition of 150 copies of 3 Fischli/Weiss titles including Der Lauf der Dinge for a price of $7500. No one could explain me the difference of legal status and therefore intrisic value with the above mentioned unlimited edition. 4) From my long personal experience. 7) It is well known that Charly Herscovici’s life has been dramatically impacted by the seemingly unimportant attribution to him by Ren. Magritte’s widow of her deceased husband’s oeuvre’s reproduction rights. http://www.dewitteraaf.be/artikel/detail/nl/3006. 10) Most contracts are bilateral between identified parties and therefore cannot easily be reassigned without all parties’ agreement. A license agreement could be a solution to a true rights ownership on the model of the German legal system. 11) The producer (if the work has been contracted and produced with a producer) would also own some of those rights by agreement with the artist. 13) Please note that most of the time a private collector will not acquire the master, contrary to most museums. Therefore the copy evoked here will come from the master owned by the artist or other rights holders. 14) A few different independent market participants have been working on a template for acquisition contracts. They have reached different stages of finalization. An important one to note is the extensive initiative by the major collaboration called Matters in Media Art. See http://www.tate.org.uk/about/projects/matters-media-art/acquisitions/accessioning. 16) For a longer history of video art distribution, see Erika Balsom’s chapter in this book. I particularly liked this comment on the Castelli editioning model: “The financial records of the organization show that rentals far outweighed sales and that the artificial scarcity imposed by limiting the number of tapes available did not incite increased demand; on the contrary, the editioned tapes did not sell as well as many of the uneditioned tapes, presumably due to their inflated prices.” I Have A Friend Who Knows Someone Who Bought A Video, Once, On Collecting Video Art. A project by LOOP Barcelona by Mousse Publishing, 2016. 18) I have yet to meet an artist who is satisfied that his or her work is only seen by a small minority of people due to the size of the editioning. But they have been led to believe that it is the only way to make a living and make more videos. All of them would prefer a wider distribution platform aimed at a wider audience. 19) In the “movie” value chain, one source of finance is a presale, which is a distributor partially financing the film against what he or she will make from the distribution. It is very difficult to get a presale these days. 22) If you believe that the absence of a preservation process is not an impediment for collecting video, see this recent quote from collector Jane Wesman in Larry’s List: “We collect in many categories: painting, sculpture, drawing, photography- and some video, although we have found that conservation is a problem for us.” http://www.larryslist.com/artmarket/the-talks/woman-of-influence-in-art-and-business-world/. 24) Note that maintaining the playback software necessary to read the codec is as essential to the preservation as the file itself. Otherwise it’s like storing a file in a safe whose key you’ve lost. Alain Servais is an investment banker, entrepreneur, collector, art lover, and person who is curious about the world.